Gourmand is head chef on the luxurious airship Royal Heaven, which sails around the world. Secretly, he is a ravenous chef who will do anything to get his hands on rare delicacies. One day, he learns about the existence of a mysterious floating castle. "Does it have new ingredients no one has seen before?" Conviently, a huge dark shadow falls across the path of Royal Heaven, making his ship tremble. 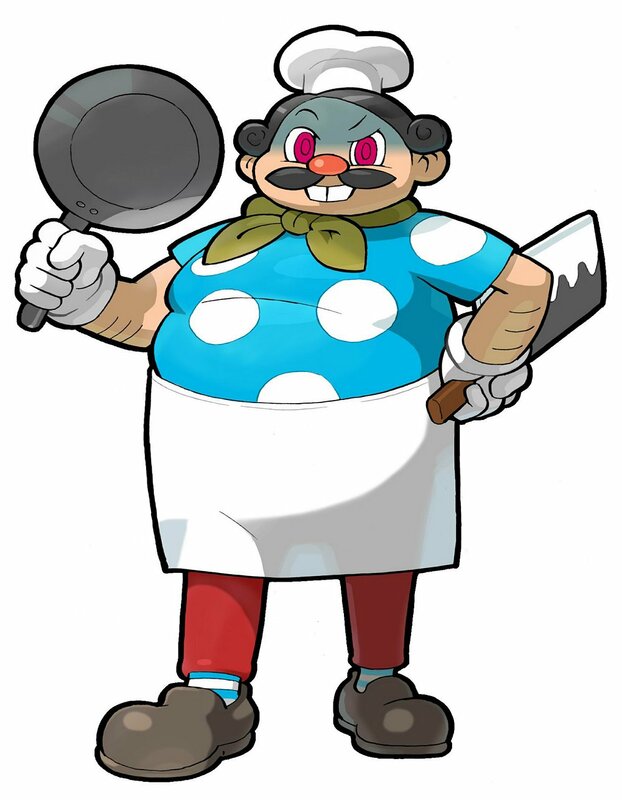 Gourmand jumps ship with his kitchen knife and frying pan in hopes of finding new food to tickle his fancy. Ohh gawd... look at this guy. 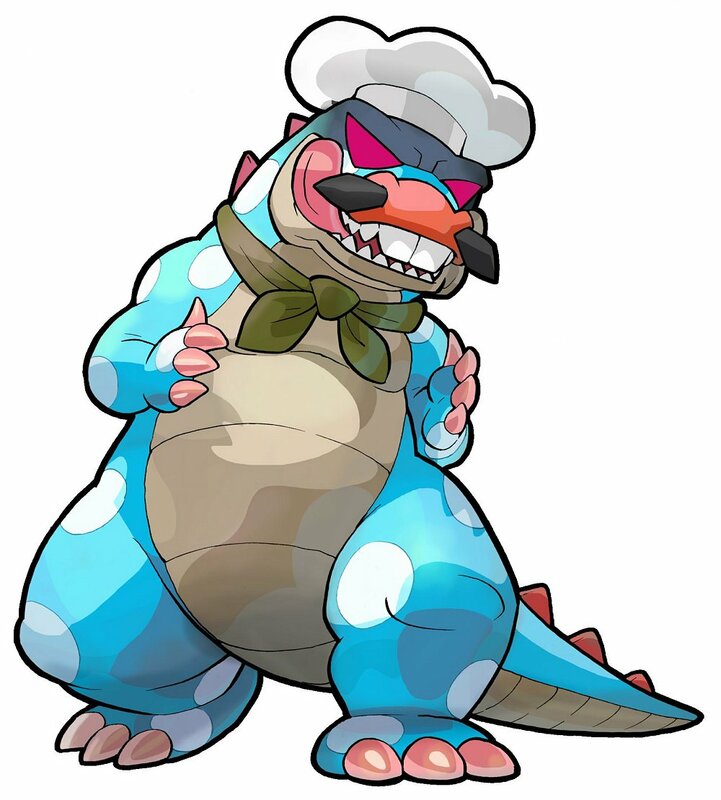 I guess the food he cooks isn't very good, or else he's be able to afford a trip to the orthodontist. Gourmand is clearly an awkward design, but possibly somewhat entertaining? 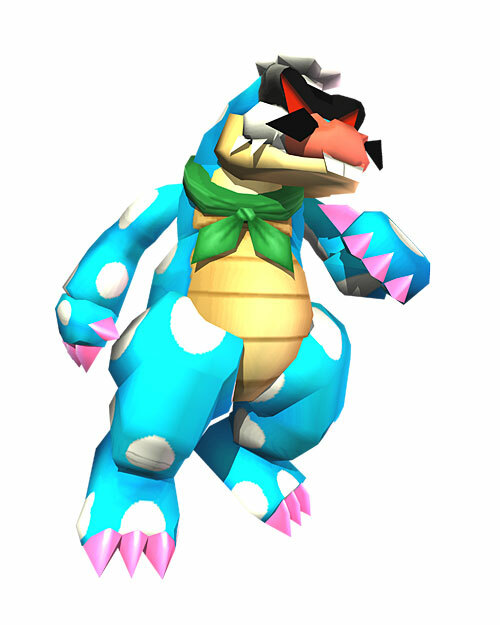 I suppose in some weird way, he fits into the colorful world of Power Stone. On a side note: If I was on the Power Stone dev team, I'd tone down some of that color. lol.